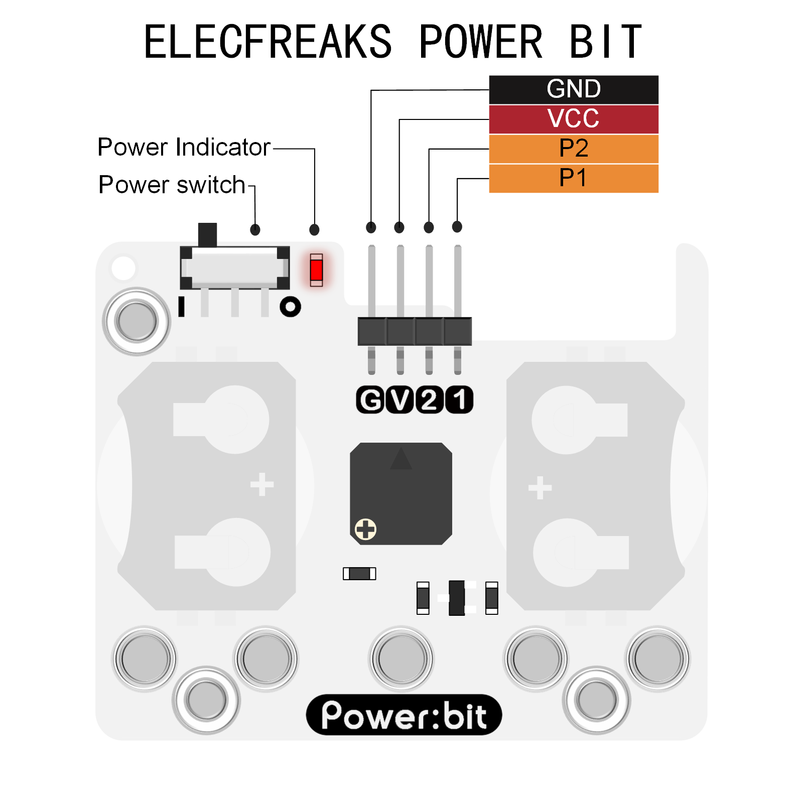 ELECFREAKS Power:bit is a pocket-sized extension board. It is powered by two 2025 button batteries and carries a buzzer on the board. 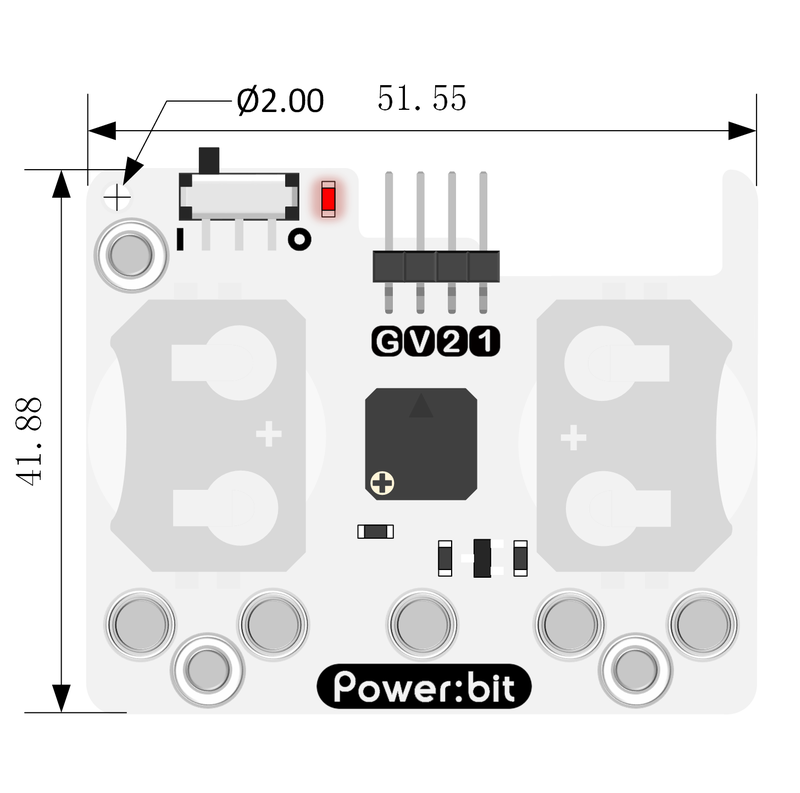 Due to its small cute size and abundant electric power, it is quite suitable to be applied to micro:bit wearable devices like pedometers, timers, portable music broadcasters and so on. Powered by two CR2025 li-batteries. 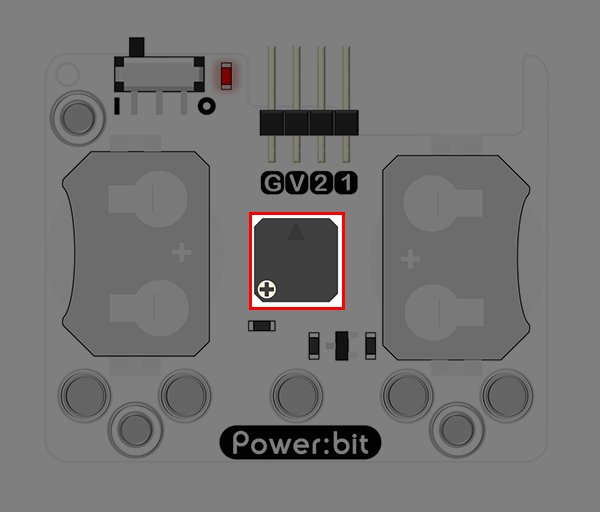 The buzzer onboard is connected to P0 port on micro:bit. P0, P1, P2, 3V, GND can be lead out by pins. Enable to match micro:bit and acrylic watch band. The end marked I is for power on, and the other marked O is for power off. 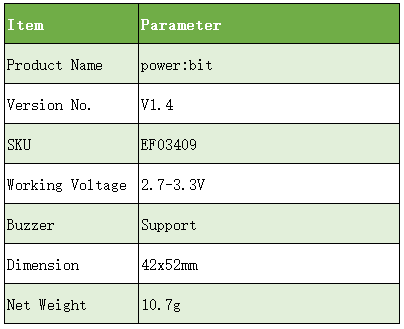 It can export pins like P1, P2, 3V, GND. We can use it to do some extensions. 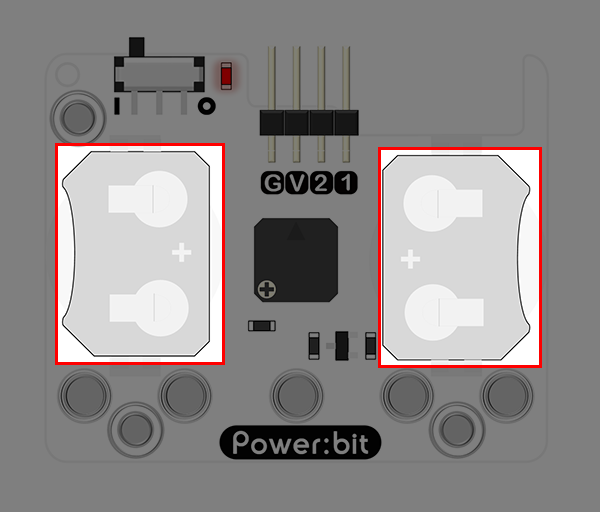 You can place two 2025 batteries（or 3V button battery）into the socket. The buzzer is controlled by P0 port. 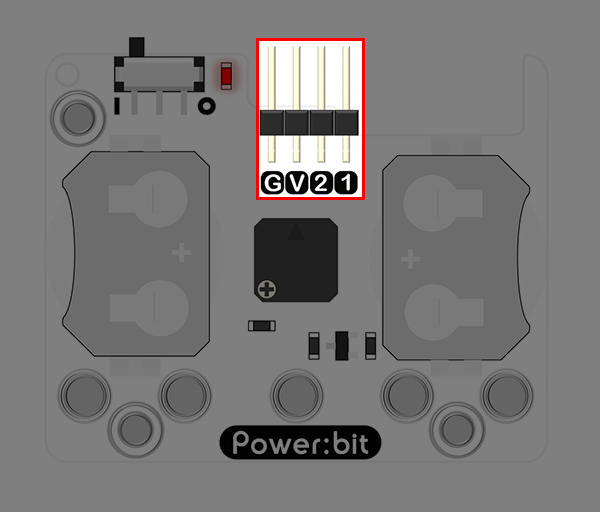 Fix micro:bit onto power:bit with 5 screws. Then place a pair of 3V 2050 battery into the battery socket of power:bit. When we slide the switch to the end marked I, the whole device is powered on. When we slide the switch to the end marked O, the whole device is powered off. Click to open Makecode online editor, and write your code to make micro:bit screen display a flashing heart. A heart flashes on micro:bit screen.